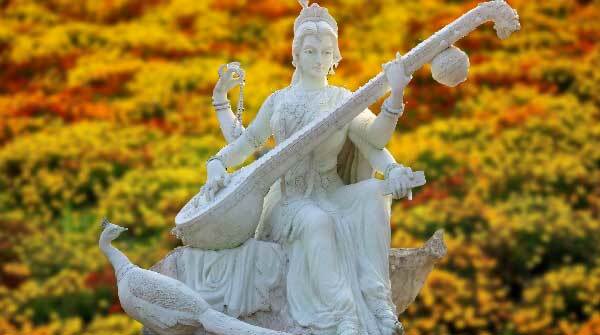 Goddess Saraswati is the Hindu goddess of knowledge, wisdom, learning, art and music. She is regarded as one of the Trinity or Tridevi along with Lakshmi and Parvati. She is immensely powerful and celebrated as feminine deity of healing & purifying power of abundence according to Rigveda. We've collection of 50 best names of Goddess Saraswati. Saraswati means one who directs to the very essence of the knowledge of self. Her feminine attributes, her calm demeanor, and her pristine purity along with this power to grant wisdom and knowledge make her a much respected deity. Goddess Saraswati has many beautiful names in Hindu mythology. One of these lovely names will be the best blessing you can bestow on your little princess since it will shower on her the blessings of Goddess Saraswati too.